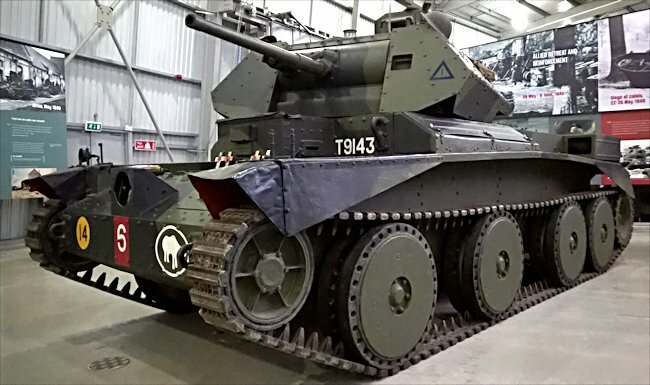 The development of the A13 can be traced back to 1930, with the development of the Christie tank and revolutionary suspension in the USA. 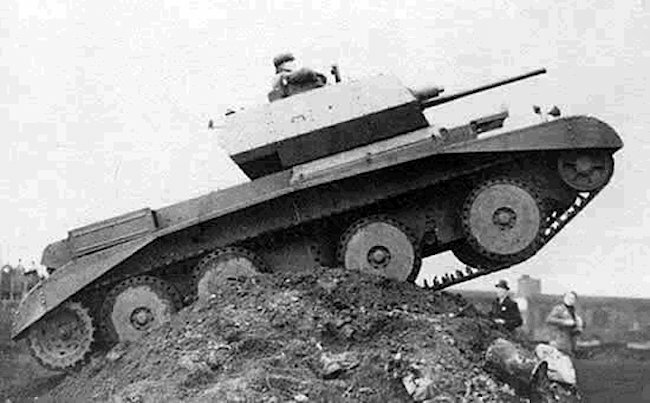 British officers, however, only really became interested in the concept after seeing a Red Army large-scale exercise and maneuvers, featuring platoons of BTs. Their sheer speed and the operational opportunities available to them were more than obvious. Later, Morris sent a team to the USA to purchase one of Walter Christie’s tanks, along with a license. This experimental type, named A13E1 (fall 1936), was too cramped for operations and had to be rebuilt, leading to a second prototype, the A13E2. The latter had the new Cruiser Mk.I (A9) turret, a revised drivetrain, with only the rear drive sprocket for motricity, better tracks and a revised armor design. In trials, speeds in excess of 40 mph (65 km/h) were possible, but in practice, 30 mph (48 km/h) was more commonly used as a cruise speed. The third prototype, A13E3, set the pre-production standards for the new A13 series. 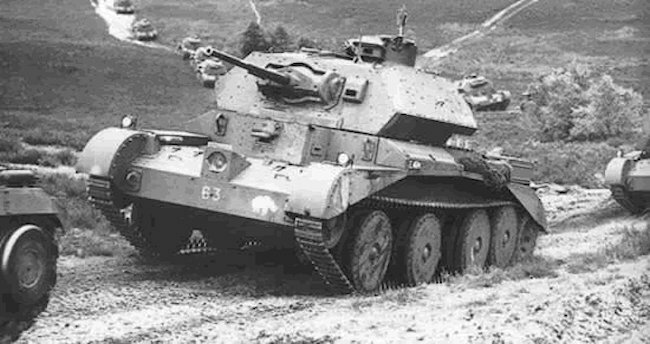 The Cruiser Mk.III was the first to be built, although in small quantities (only 65), followed by an all-improved version, the A13 Mk.II. 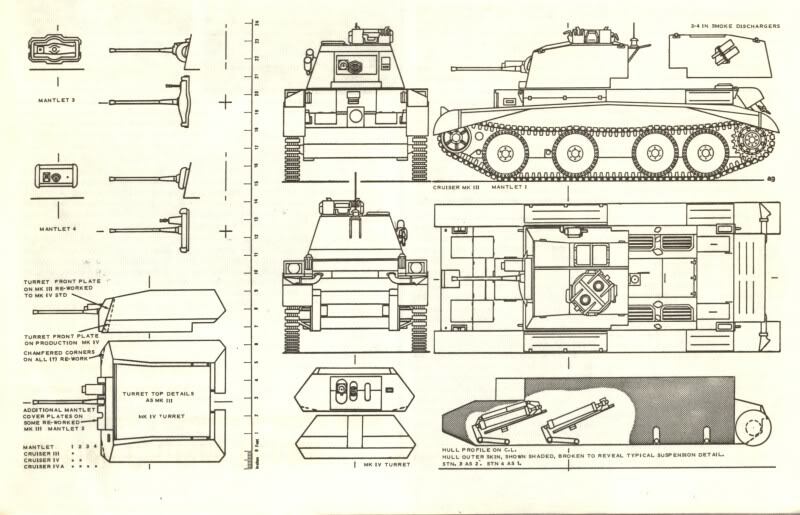 A13 Cruiser Mk.III/IV comparative visual sketch, recognition drawing from 1940. The A13 Mk.I was built at Nuffield Mechanization & Aero Limited (a subsidiary of Morris Motors) in 1939. With the threat of war growing, some shortcomings were detected and, by the 30th delivered, the War Office decided to build a new, up-armored model. The frontal armor was to be raised to 1 in (30 mm) and the turret was to receive appliqué armor panels covering the sides and rear. This formula was also adopted by the next generation of cruisers, the Covenanter and Crusader. This angled turret is the easiest way to distinguish between the A13 Mk.II and the Mk.I. The last Cruiser Mk.III was upgraded to this new standard before delivery. With war approaching, production orders were raised to 225 units, to be delivered before the end of 1940. Nuffield facilities were not sufficient, so English Electric, Leyland and LMS Railway were later called to join the wartime production. The first change affected the Vickers water-cooled 0.303 in (7.7 in) machine-gun, which were the cause of constant troubles. The more reliable and compact Besa, with an anti-vibration mount, was chosen instead. This model was derived from a Czech design. All vehicles produced by 1940 were rearmed with this new coaxial machine-gun, and the vehicle was later known as the Mk.IVA, the main and only variant of the A13 Mk.II. In all, 665 were built Cruiser IVs were built until late 1940. A close support version was also envisioned in 1939, but soon dropped, as this concept was more suited for exercises than real combat. There was eventually a third A13, but it was a complete redesign of the type, by LMS Railway, later known as the Mk.V Covenanter. This version, fitted with a new engine, was kept at home for training and the next cruiser was far more famous Crusader. With the war started, the BEF, freshly landed in Northern France, needed new tanks fast. The brand new Mk.IVs were shipped straight from the factory, sometimes with parts and fittings missing. 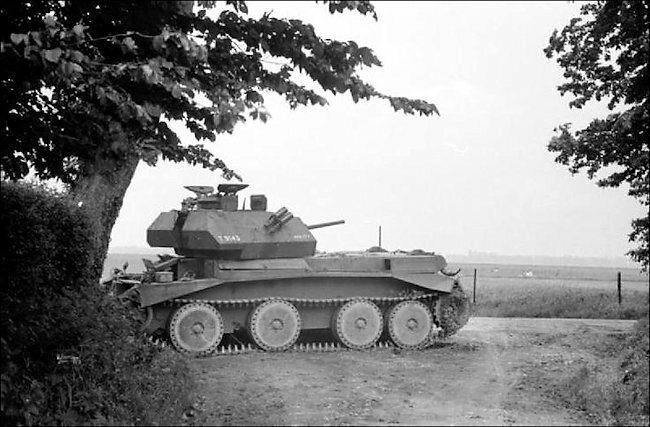 The crews did not have the proper time to be trained and the first engagements turned unsurprisingly badly for the British units from the 1st Armoured Division. With the retreat to Dunkerque, about a hundred of these were left in and around Calais, some sabotaged and unrepairable, others almost intact, and fell into enemy hands. The Germans renamed them Pz.Kpfw. Mk.IV 744(e), and pressed them into service in the next campaigns, from the Balkans to Russia. On the other hand, the new Mk.IVAs, which arrived in numbers on the African soil, were the best models available in the typical early mixed armored brigades, counting up to four types of tanks, even showing good adaptation to the climate. They stayed first-line with the 7th Armoured Division until their replacement, in the fall of 1941, by the Crusader. Most were lost to German anti-tank guns, but they performed well against lightly armored Italian and early German tanks and were reliable and popular for their protection and speed. The official British tank livery camouflage Caunter Colours’ shown in an official document dated July 1940 were Portland Stone (BSC No.64), Light Grey (BSC No.28) or Silver Grey and Slate Grey (BSC No.34). The grey paints were apparently originally from Royal Navy paint stocks in Alexandria, Egypt. There is no Blue shown in the official document. The Imperial War Museum in London painted their Matilda II tank light blue instead of Light or Silver Grey by mistake. Because the museum used this colour scheme it was copied by the French tank Museum and many Model kit companies. The confusion may have come from veterans accounts. A tank crew member who had served with 7th RTR in 1940-41,recollected that their tanks being “a god awful shade of blue”. I suspect that given a few weeks in the dust, heat and high UV of the desert, the paints would weather to a very different appearance to their “official” tone. 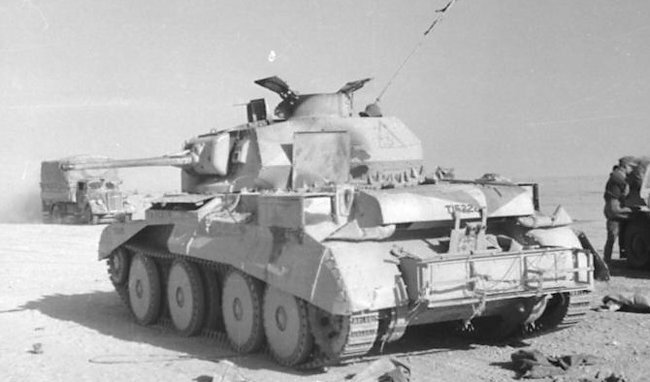 Cruiser Mk.IVA, 7th Armoured Division, Egypt, 1941. Cruiser Mk.IV, 7th Infantry Brigade decoy force, Cyprus, 1942. Pz.Kpfw. Mk.IV 744(e), ABT(f)-100, allocated to the 18.Pz.Div, Operation Barbarossa, June 1941. About 15 were pressed into service. 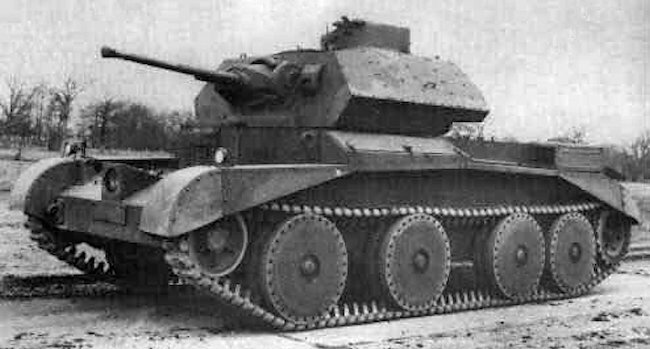 A13 Mk.II Cruiser Mk.IV, three quarter front view. 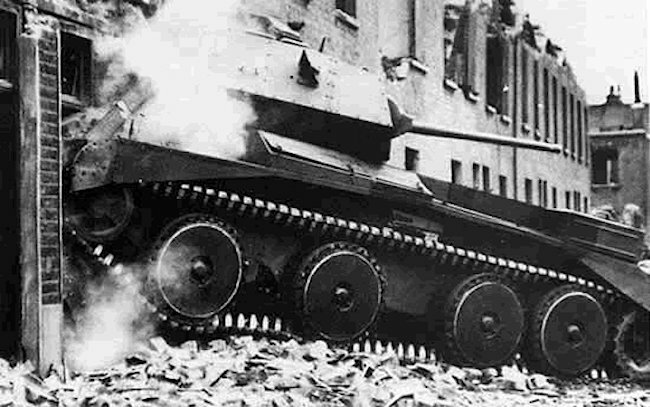 Another way of hiding your tank was to change its shape. This type of deception tactic had been used by the Royal Navy in WW1. They changed the outline of destroyers to look more like merchant ships. When the WW1 German U-boat surfaced to attack the ship with its main gun the screens would drop to enable a full broadside of high explosive shells to be fired at the submarine. These type of ships were called ‘Q’ boats. During Operation Bertram in the months leading up to the second Battle of El Alamein in North Africa in September – October 1942 camouflage and dummy vehicles were used to deceive the Germans where the next attack was going to come from. 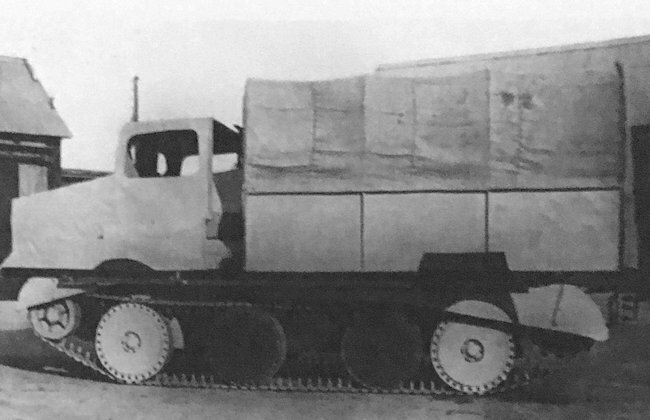 Real tanks were disguised as trucks, using light “Sunshield” canopies. To achieve the deception, trucks were parked openly in the tank assembly area for some weeks. Real tanks were similarly parked openly, far behind the front. Two nights before the attack, the tanks replaced the trucks, being covered with “Sunshields” before dawn. Notice that the tanks two inner road wheels are painted black and the outer two are a lighter sand colour to give the impression that they are lorry wheels. Thanks for the excellent information on this page, very interesting. One question that I have relates to the mantlet, as there were apparently three different types for this version of A13, as shown on the left of the “comparative visual sketch, recognition drawing from 1940” that you have reproduced here. Which mantlets are on the tanks in the colour side view drawings, because they do not look like the ones shown on the sketch (except for the 7th Queens Hussars side view). In particular I would like to model the decoy on Cyprus (T18129), does that one have the middle mantlet that is on the sketch? Also do you have a photo of that particular tank (T18129 on Cyprus)? 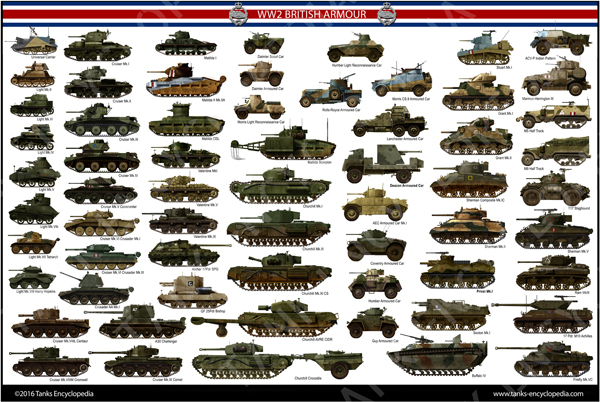 Thanks again for this page, the best info on the Internet relating to this type of tank. It would be interesting to know the German view on Cruiser Mk.IV, A13 what changes were made and how long did they last till they binned them for the lack of spares. The best description I have heard for Operation Barbarossa, was invasion by a rolling armour museum, given all the tanks, bought, and obtained. It must have been a nightmare logistically to maintain.